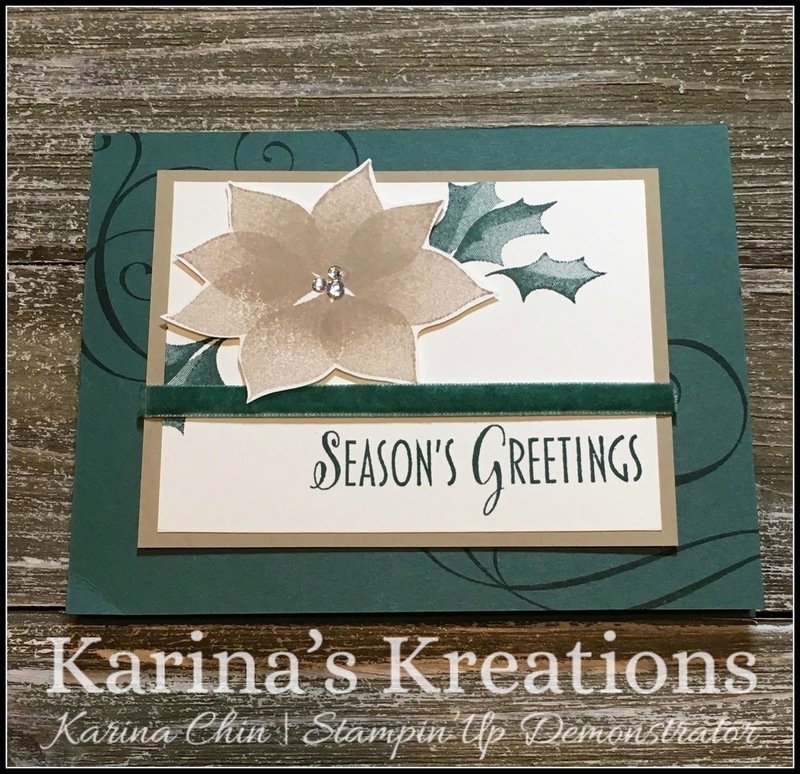 Do you still need to make some Christmas cards? I love the Stylish Christmas stamp set. 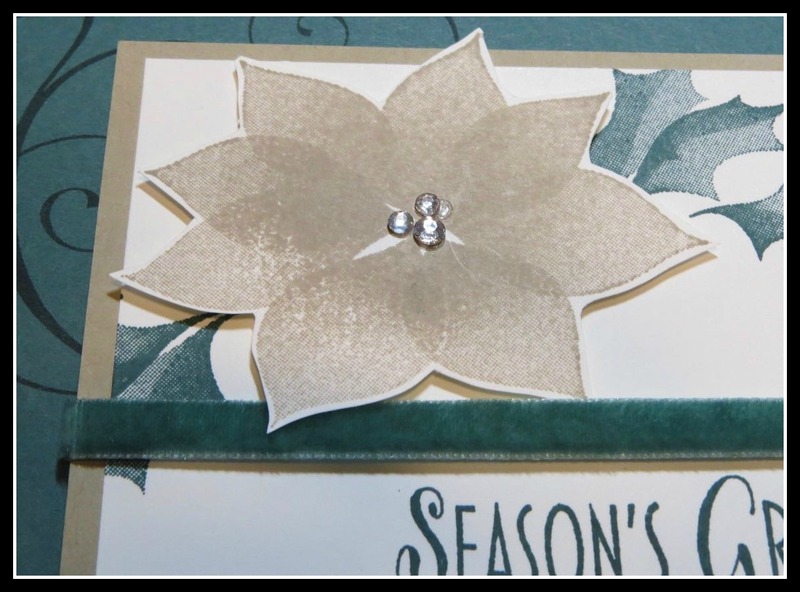 It's so easy to use and is perfect for beginners or advanced stampers. This set is part of a Distinktive stamp line where the images look three dimensional. 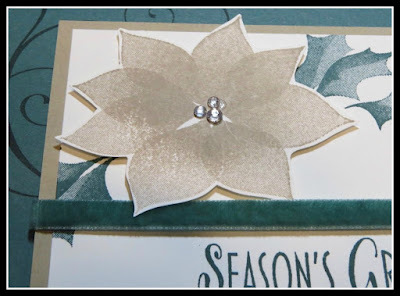 The poinsettia is stamped with Crumb Cake ink and the leaves with Tranquil Tide ink. Here's the complete supply list.